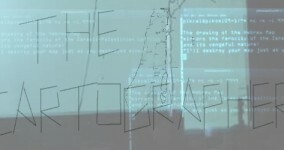 It is a nomad hacklab, moving between technological festivals and events, for share free tecnology. It was born from some Brazilian artist, pushed especially by Glerm Soares, some Spanish artist and some member of estereotips and it shows itself as a audio/video noise performance, creating a partecipative ritual between people in stage and online msst community. It was already presented during Piksel09 in Norway and during Ahacktitude festival in Milan (Italy). 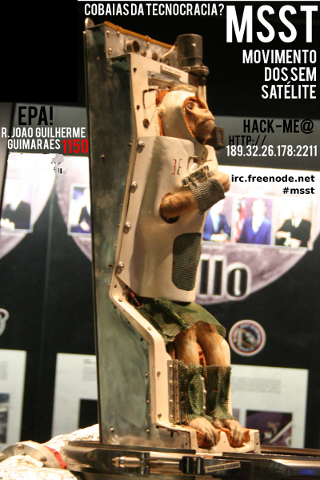 First than that MSST is a movement for reclaim free tecnology and knowledge, because we are more than guinea pigs! March and dance with us! Above you can read our manifest to join us! Artisans of bits and volts, humanist poets, nomadic scientists – where are we going? I trust in the pulse of your steps, our revolution is the next second, and the constant challenge is not to surrender to the conformity of being entertained or entertaining: distracting the fact that we want to live beyond history, walls, banks, genetic similarity. We want an ecosystem that is worth of all this Prometheic pyrotechinic – this being, which is supposed to be Sapiens. Some intelligent symbiosis to keep this flame heating an harmonic environment. But, if today we still looking at some of us marching for a piece of land to survive or alienating their most creative instincts in a desperate search for exist inside a culture of self-destructive consumption, we have to ask: What’s the role of those sheltered and fed in thinking about an autonomy in knowledge and information transmition for those efforts that wants revert this pulsion of humanity self-destructive greed? The conjecture of this manifesto is inside a function pointing to a cracking sparkle at the horizon: The day we will be able to build our first handmade satellite and send it to this sidereal space wich is already full of corporative and governamental devices. Will our satellite be able to transform our networks in something more autonomous? Or we have to re-think all technocracy to reach that by a tottaly different path? How? We’re more than technocracy guinea pigs! Dreaming and dancing: the march of the Satelitteless..